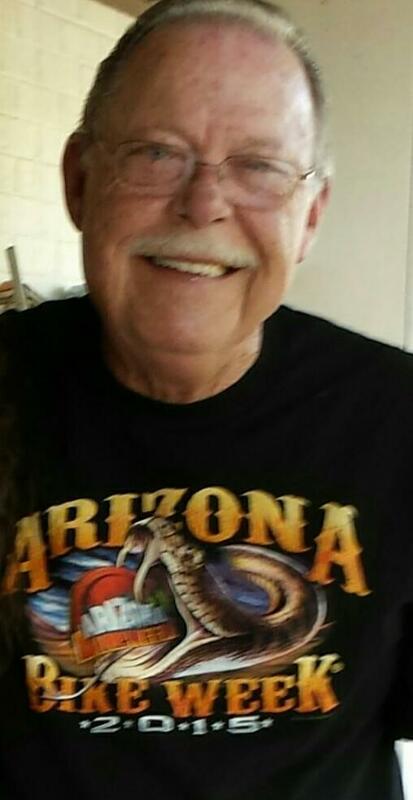 Bernard Francis Boyle, Sr., died without warning, age 72, on Wednesday March 30, 2016 in Mesa, Arizona, where he resided with his loving partner Kay Goodfellow. He was born August 28,1943 in Baltimore, Maryland. He is survived by his daughter, Malissa Lynn Boyle, his 3 sons, Bernard Francis Boyle Jr., Michael Preston Boyle, and Christopher Scott Milbrett. He is also survived by his 8 grandchildren, and 4 great grandchildren, and we can’t forget his best pal, Britches (his Boston Terrier). Bernard was attending journalism college classes, made the dean’s list, and was striving blissfully “”we are so proud “”, he was also 30 pages into writing his first book. Bernard will be laid to rest at the Veteran’s Cemetery of Arizona, the family will be holding private services. We extend our deepest sympathy to all of you. It is always difficult to lose a parent, especially suddenly. Hold onto and treasure the good memories. Relatives and friends who knew and cared for Bernard, our thoughts are with you all.